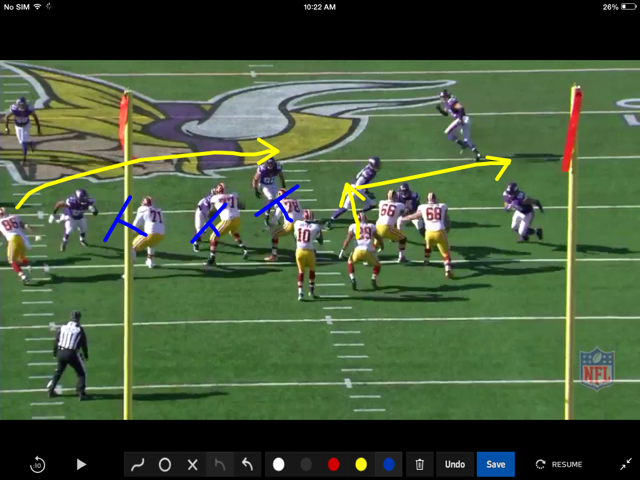 In this Game Within The Game look at the Redskin offense I break down some of there action during the game. Victory and Defeat are within each play. On the first 3rd down the Redskins lined up in this gun formation and are facing a possible “DOUBLE BLOW” blitz by the Vikings. 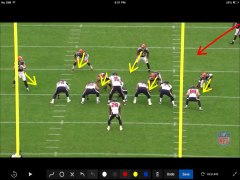 The pass protection called makes the center work with his left guard and left tackle to pick up the linebacker on his left shoulder and the two down lineman. Hulu has the linebacker on the right side of the center to any safety blitz so he has to jump to this possible threat. 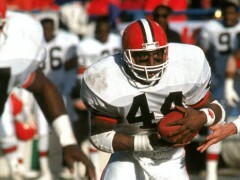 After the ball is snapped the linebackers bail. The bass protection is being executed and the route concept is taking its action. 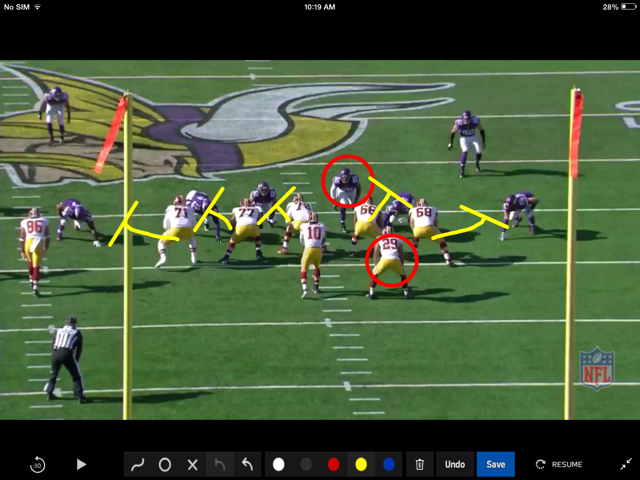 Helu checks his linebacker than releases into his pattern. 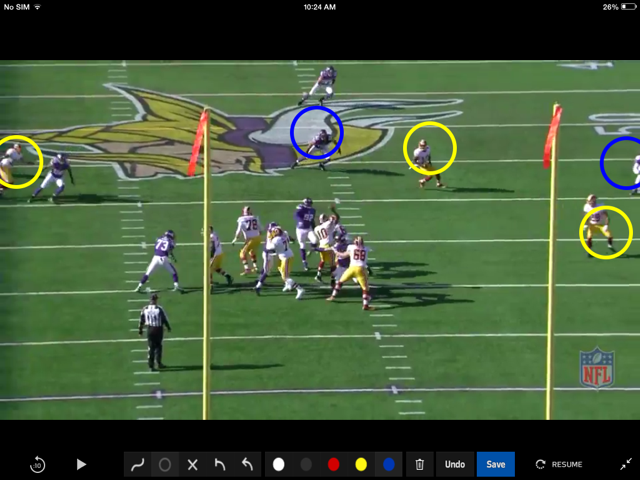 His assignment is to get outside the right tackle so he can effect the underneath coverage. 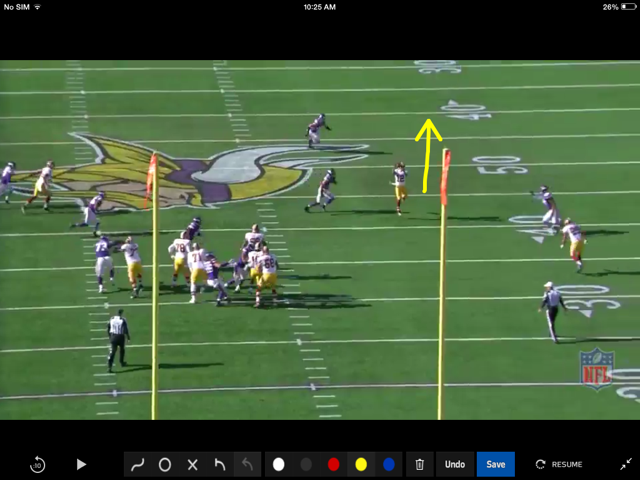 Below we can see that the pass pro is in affect and Helu has released into his pattern, the receivers have gotten to their spots. He has widened the underneath coverage so the ball can be delivered. BY THE WAY…RGIII is under pressure but is not phased by it. 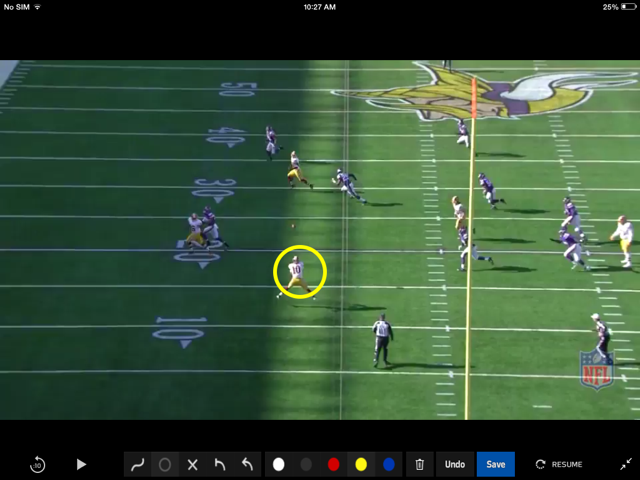 He throws a ball where the receiver can catch it and get up the field for the first down. The ball is delivered and the receiver catches it then immediately gets vertical, just like he is taught and which is typically most effective. Completion of a Game within the game Victory. I hope you have enjoyed this #everybodyfumbles game within the game breakdown. Stay tuned.